What are the osha fire extinguisher training requirements? An employee is heating up her lunch in the workplace's communal kitchen, and becomes distracted when a coworker pulls her away. When she returns to the kitchen, the appliance she was using has caught fire, and she panics. This is my fault, she thinks. I'm going to be in so much trouble. I have to do something. She begins swatting at the flames with a kitchen towel, but the towel catches fire and burns her hand. Finally, she yanks the portable fire extinguisher from its place. As she struggles to pull the pin, the fire begins creeping up the kitchen's back wall. The employee aims the extinguisher—but she's never been trained on how to use it, and she's much too close to the flames. Just like that, an employee is in the hospital. Will this exact scenario happen at your business? Probably not. But even in relatively low-risk work environments such as offices, there is always a possibility that something similar could happen. That is why OSHA mandates that employers provide fire extinguishers based on the classes of anticipated fires—and provide education on their proper use. To most businesses, it is common knowledge that employers need to provide portable fire extinguishers, keep them in an accessible location, and maintain the extinguishers so that they are fully charged and operable at all times. But what many people miss is the fact that, when extinguishers are provided in a workplace setting, OSHA fire extinguisher training requirements state that employees must be trained once a year in their use. What does OSHA say about workplace fire extinguisher training requirements? The employer shall provide the education required in paragraph (g)(1) of this section upon initial employment and at least annually thereafter. That's a bit unclear. What do they mean by "educational program?" And does "education" require hands-on training? According to the definitions for Subpart L that appear in 1910.155, paragraph (c)(14) defines education as "the process of imparting knowledge or skill through systematic instruction. It does not require formal classroom instruction." So, at the bare minimum, employers must provide workers with instructions on general fire extinguisher use and the hazards associated with fighting incipient stage (beginning stage) fires. Unfortunately, the bare minimum doesn't save lives and property. Employees need to be trained in proper workplace fire safety, not merely educated with a pamphlet. Many companies create policies forbidding the use of fire extinguishers for their employees, figuring that the company evacuation plan is enough. Then, they believe that they do not need to train their employees in the use of a fire extinguisher. Unfortunately for them, those policies will never hold up. It is reasonable to assume that an employee, when faced with a fire that threatens her life, will attempt to fight the fire with an extinguisher. If an employee chooses to discharge an extinguisher in the face of a fire, it is her choice to defend herself—not the company's. The lives of your employees are worth more than a policy. For that reason, it's important to put employees through live fire training, in order to familiarize them with all of the risks and responsibilities associated with insipient-stage fire-fighting and to allow them to discharge a real fire extinguisher on a large fire. 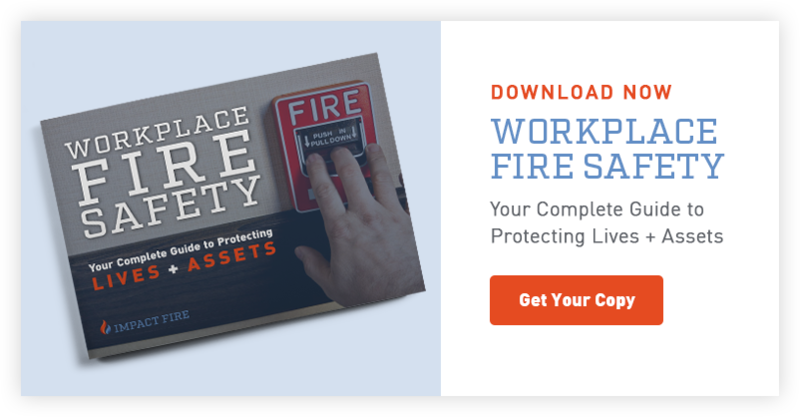 Only with hands-on experience can employees be trained to act quickly when faced with an actual fire in the workplace. Fire extinguisher training requirements are about more than simply fulfilling some OSHA mandates—they empower your employees to make their own decision whether to fight the fire, or to get themselves out. Schedule live fire extinguisher training today.